St. Charles is located in Kane and DuPage Counties in the Central Fox River Valley Region. This town is home to over 1,600 local, national and international businesses. This cozy city also includes a lovely vintage downtown area with plenty of shops and restaurants, overlooking the tranquil Fox River. 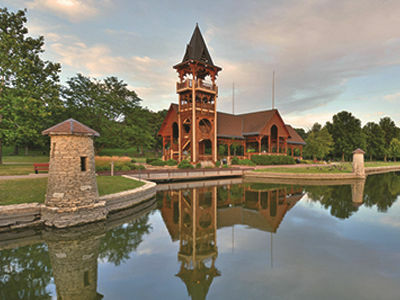 St. Charles has many acres of open space, park areas with river front paths and views, and scenic picnic spots.